Ford dealer Okotoks Ford Lincoln has been committed to fantastic customer service for over 20 years. 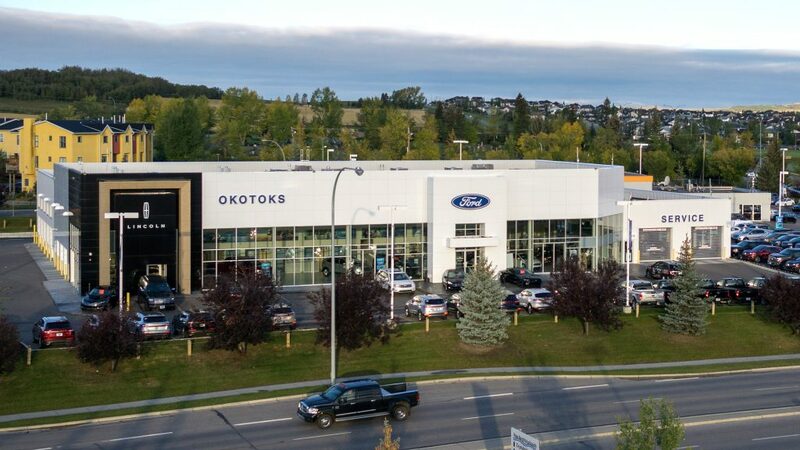 Operating as part of the Wood Automotive Group, Okotoks Ford is a subsidiary of Woodridge Ford, and prides itself on total customer satisfaction. As owner of some of the largest dealerships in Western Canada, Gerry Wood is a champion of personal service and a fair deal. Gerry started his legacy as an automotive dealer in Calgary’s automotive industry in 1983. He acquired Southridge Lincoln Mercury, and renamed it Woodridge Ford Lincoln. Approximately 10 years later, Woodridge Ford Lincoln expanded and acquired other dealerships to form the Wood Automotive Group. The group now includes 6 automotive dealerships, including Okotoks Ford Lincoln. The group also includes the All-Makes Collision Centre in Calgary. Gerry’s success is because of the Wood Automotive Group’s 3 leading principles; Constant attention to customer satisfaction, professional staff and well-planned facilities. Today, Okotoks Ford Lincoln continues Wood’s trend – we are a Ford dealer offering personal service, choice and competitive prices to our customers. Find us on Southridge Drive in Okotoks, where we have a huge selection of Ford F-150s, SUVs, cars and Lincolns. We also offer a selection of preowned vehicles from a range of manufacturers to suit every budget. We also auto repair and service all makes and models, with customers from Okotoks, Turner Valley, Black Diamond, South Calgary and beyond.